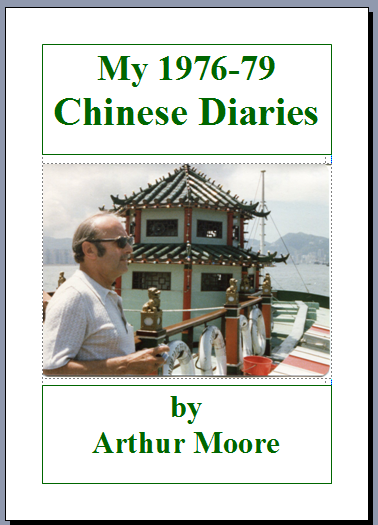 Read the exciting tales of Arthur’s time in China as part of a Trade delegation on behalf of his Company. How he met his Excellency the Ambassador and the Loyal Toast that he and his associates were obliged to drink until the glass was empty - and how they survived. Read of the embarrassment of “No Credit” in China and how to cope. Learn about the precise art of shopping and swimming in China - and the beauty of spittoons. Relive Arthurs’ experiences in Tien-an-Men Square and the Forbidden City; on the Great Wall of China; at the enormous Nanking Yangtse River Bridge and his visit to the Underground Palace of Ming tombs. 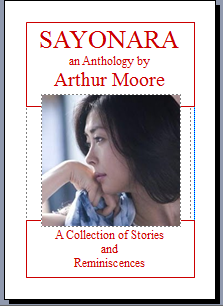 Another delightful book by Arthur Moore, the former Old Basford, Nottingham boy.